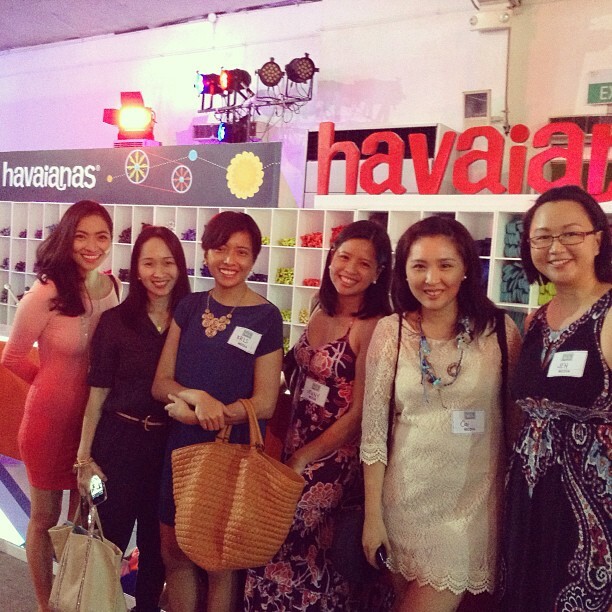 I've been out of the Manila scene for years that I have never ever been to a Make Your Own Havaianas event ever. Ever, ever. I would see MYOH in photos and read about it in the papers and in blogs. My friend Conci is a fanatic. She goes and lines up practically each year. But I'd be like, I love Havaianas but I do not love those lines and I am not a big fan of squeezing into a crowd. I'm happy with my factory-made Havaianas. But then! My friend Janice aka Mommy Mundo invited me and the rest of the SoMoms to the media launch yesterday, and that's when I realized what the craziness is all about. First, there's the limited edition pair that's only available to buy during the MYOH days. “Dan Matutina + Havaianas” is the first glow-in-the-dark MYOH commemorative pair with carbon blue sole and shows two spacemen with space markers connecting the stars to form images— representing how Havaianas invites each and everyone to let loose their creativity brought about by their boundless imagination. 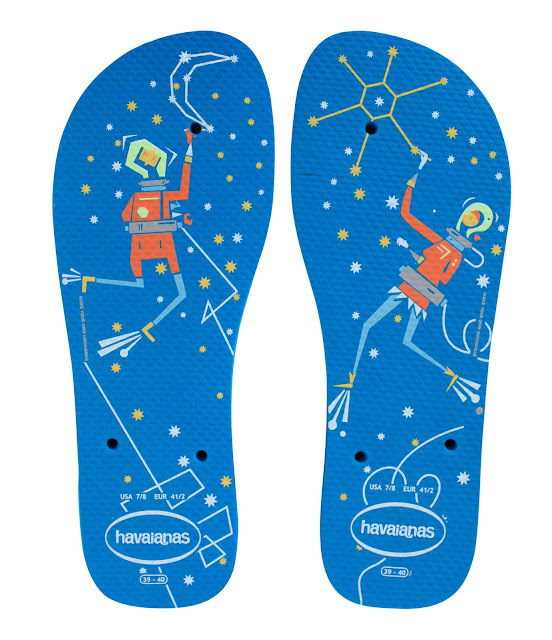 Here's how the glow in the dark Havaianas look like. Eeeez for realz! We had walked past it on our way to Serendra and she begged to go back to High Street just so she could have a picture inside it. Cute! The next reason is the energy! OMG. It's so fun! 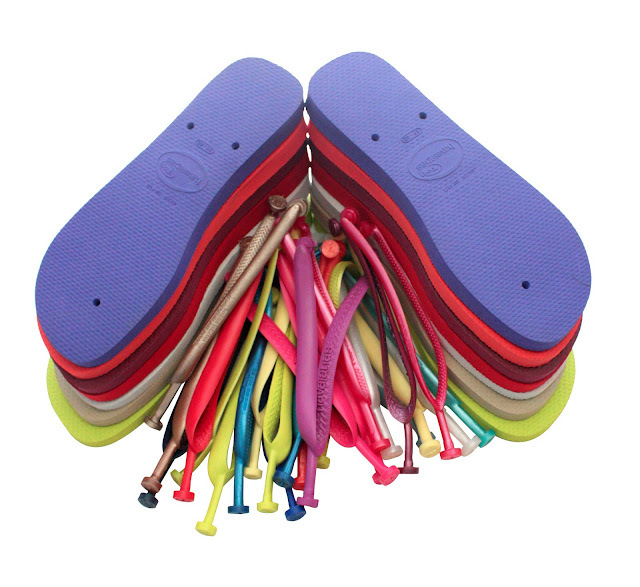 From the time you fill out your MYOH form to the actual moment when the Havaianas kid goes and looks for your soles, strap and pins, its exciting ha. To seeing your actual slippers all done, just the way you imagined. It's quite a thrill! 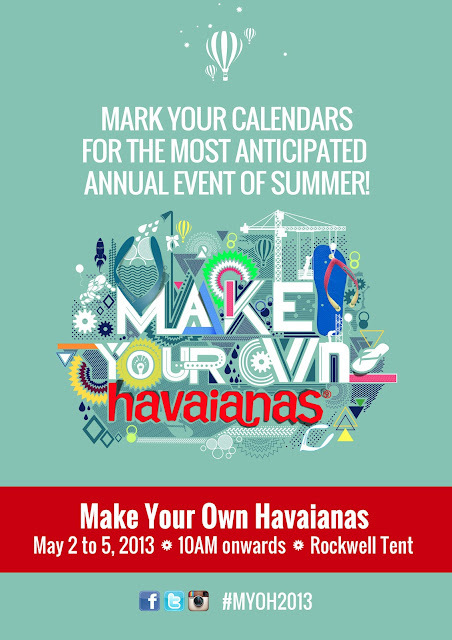 So take your imagination to greater heights this summer at Make Your Own Havaianas 2013. 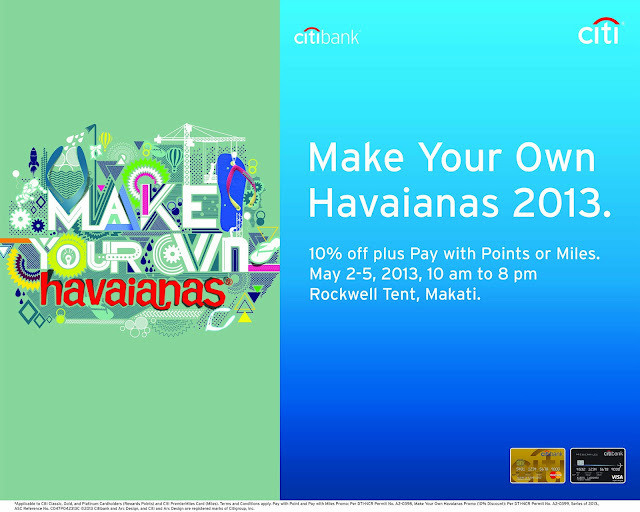 Experience the summer vibe that never goes out style with the world’s favorite rubber flip-flops brand. 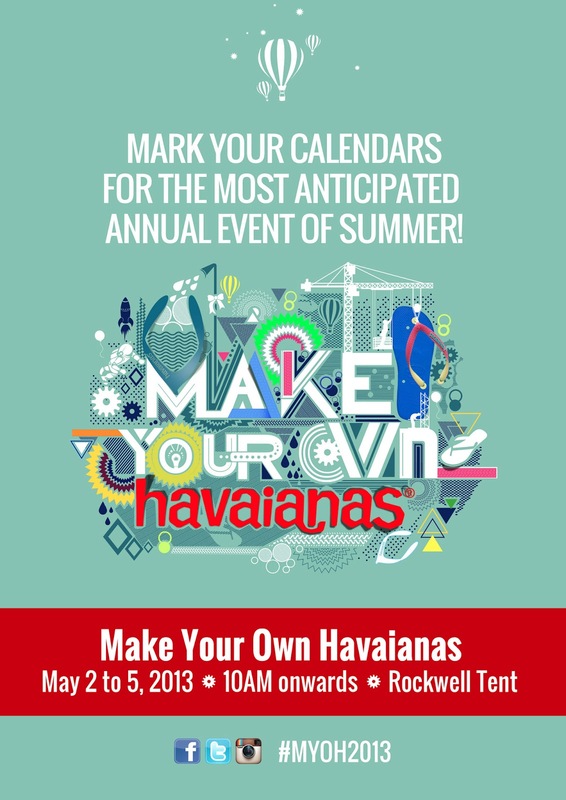 Take part in the Havaianas story on May 2 to 5, 2013 at the Rockwell Tent! PS - Incidentally, you get 10% OFF plus pay using your points or miles when you Make Your Own Havaianas when you use your Citibank card!